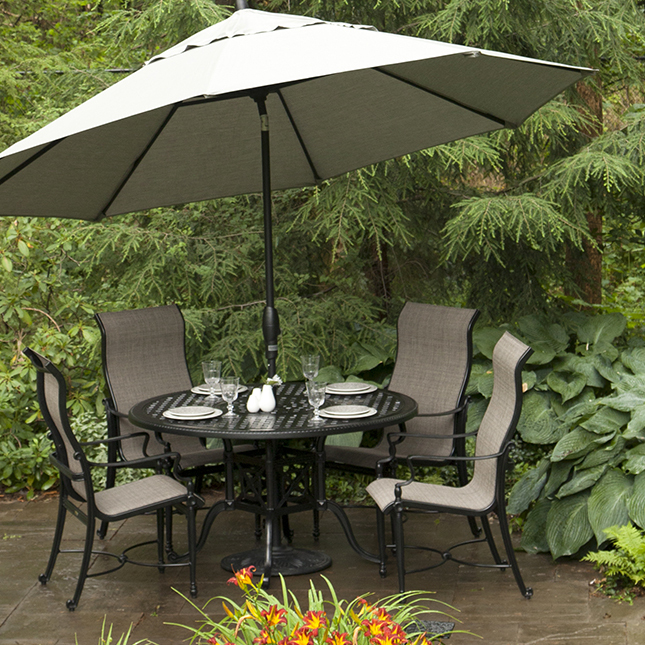 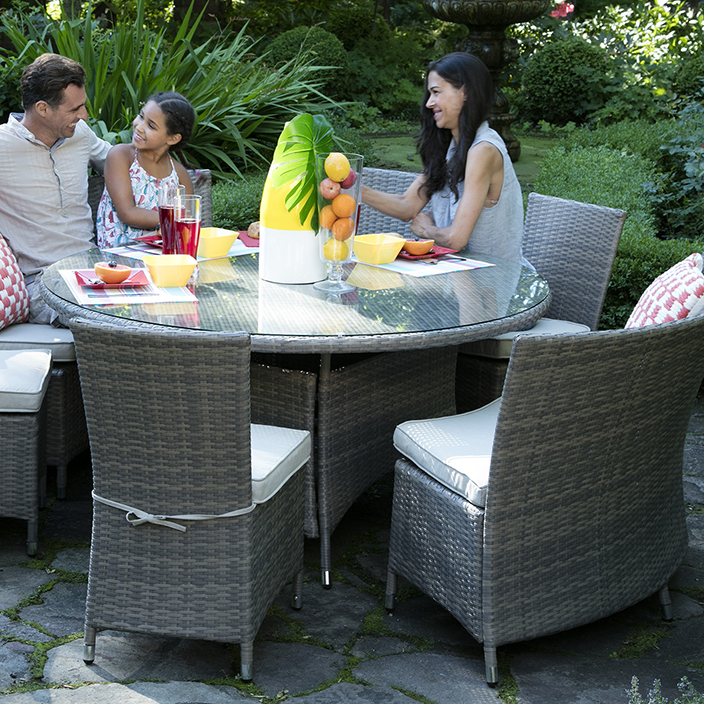 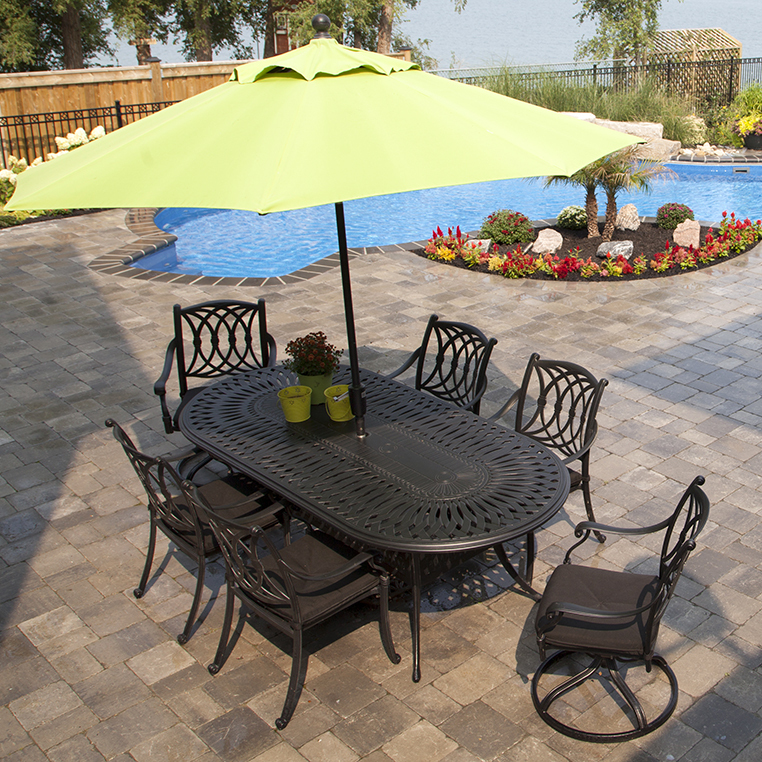 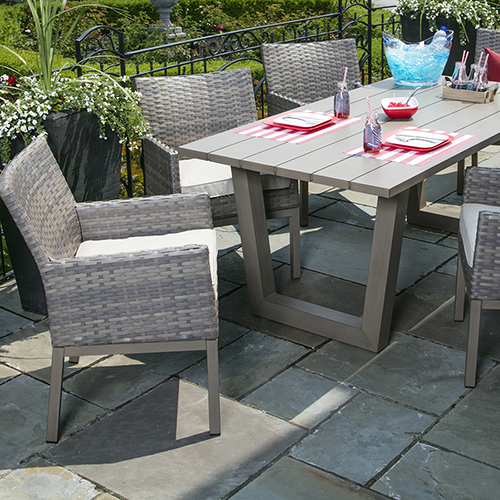 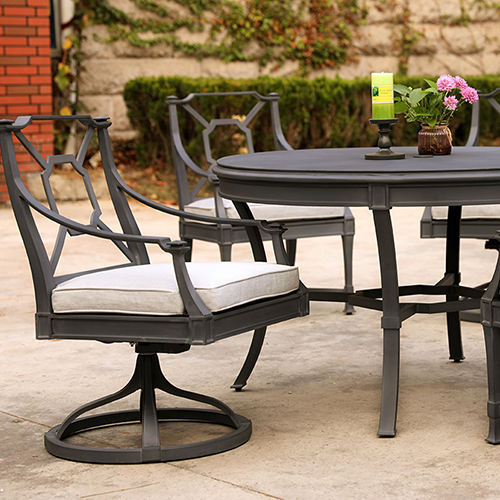 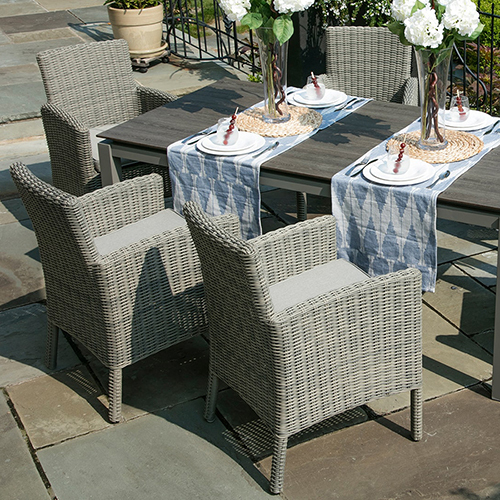 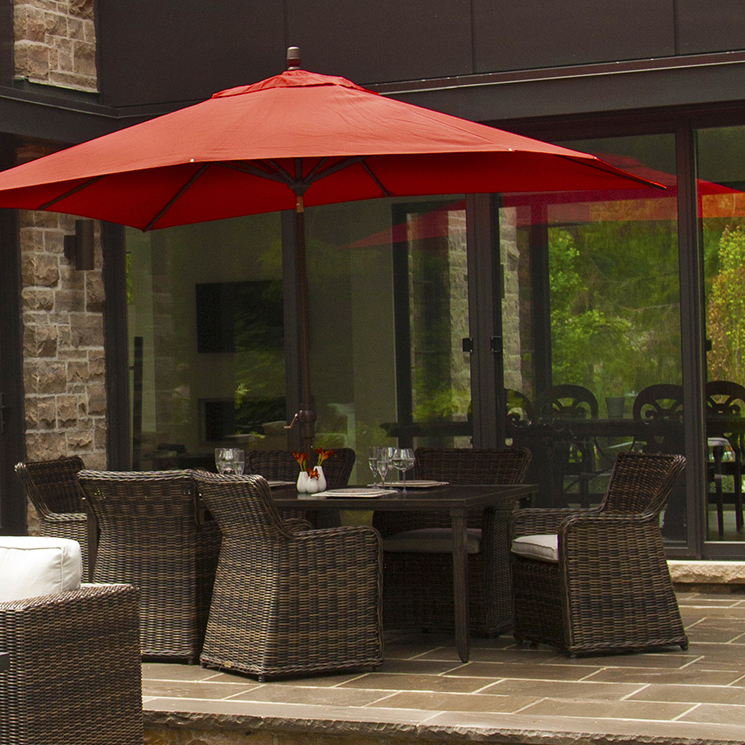 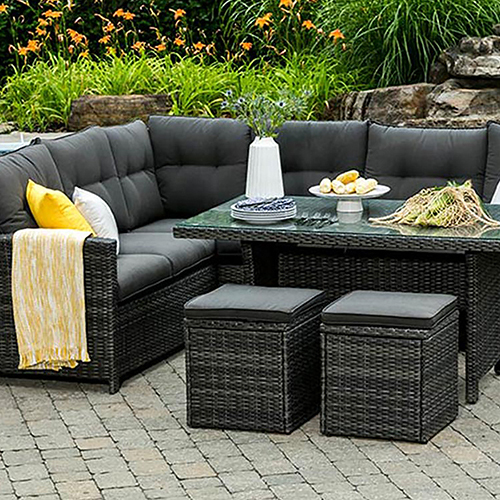 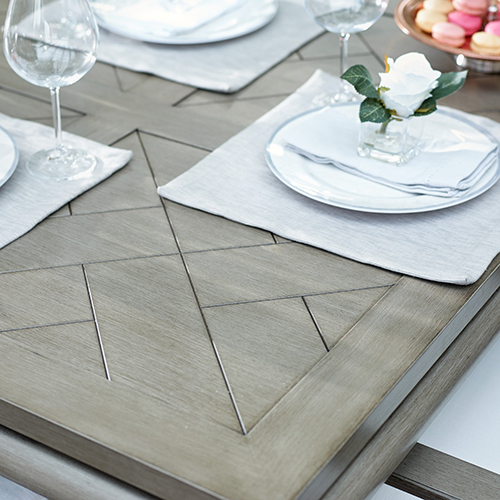 The Allure Dining Collection offers stability and timeless design to your backyard. 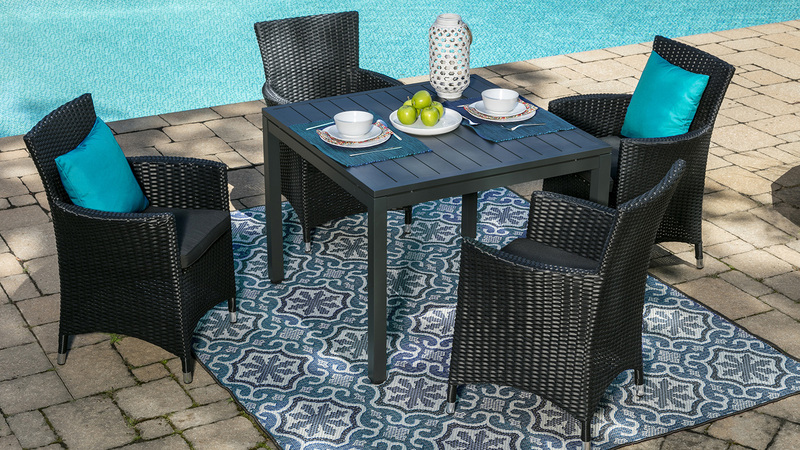 The Allure’s beautifully designed resin wicker is wrapped tightly around a rust proof aluminum frame proven to last countless years. 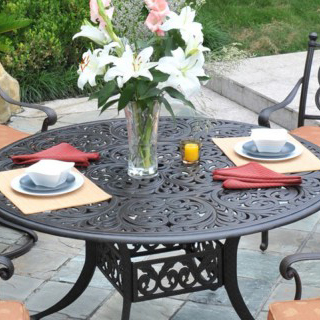 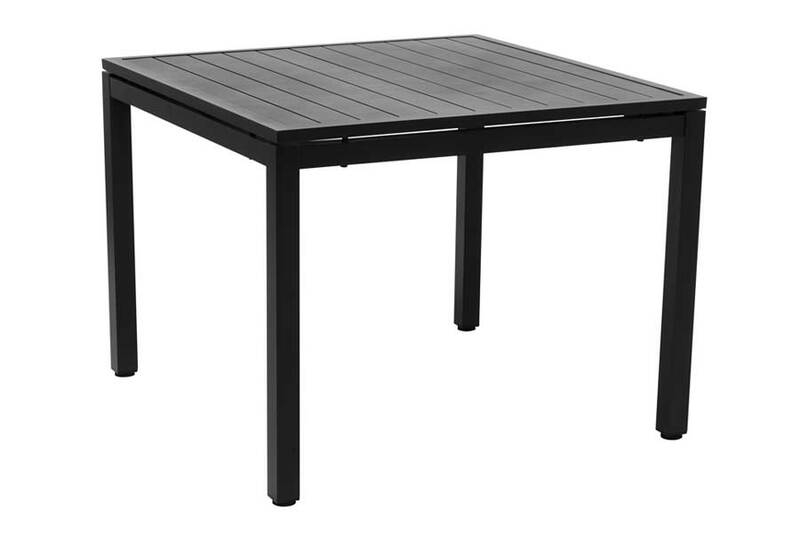 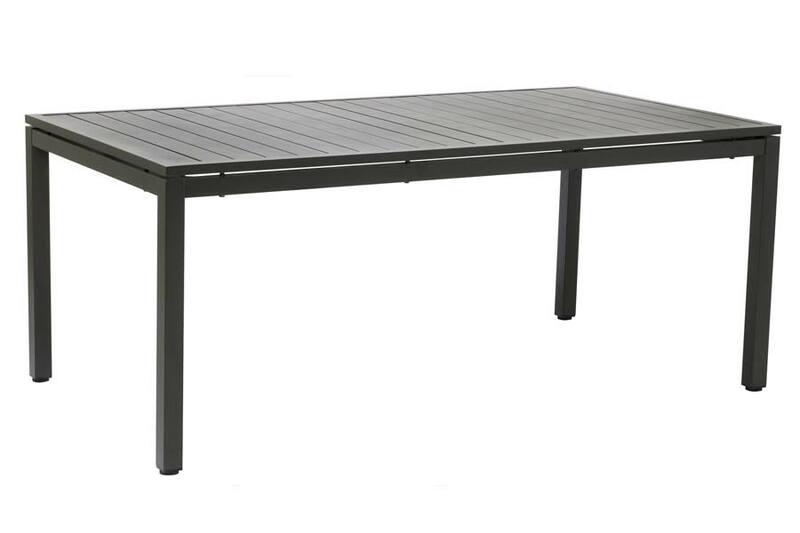 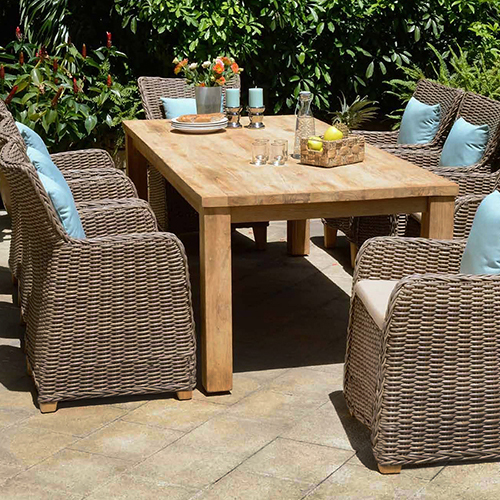 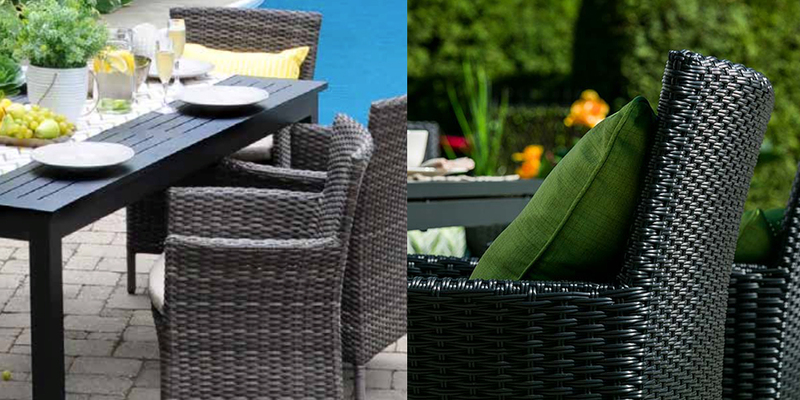 There are two table sizes to chose from in order to better suit your patio area. 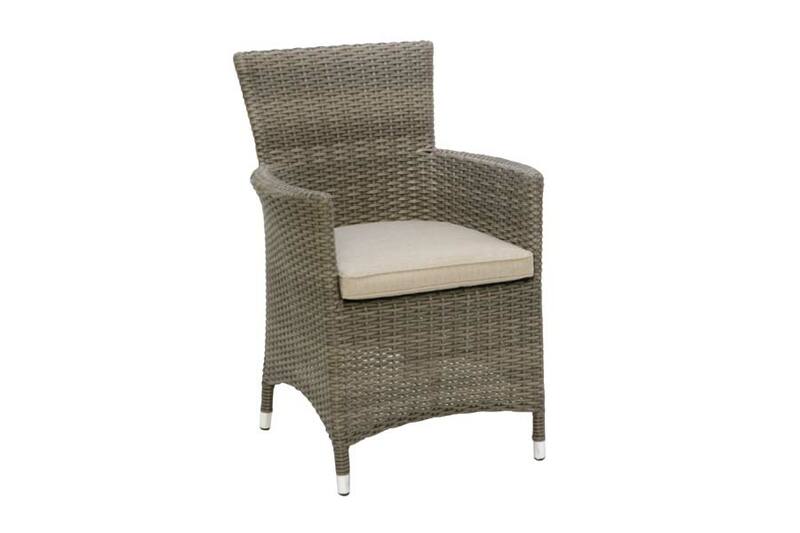 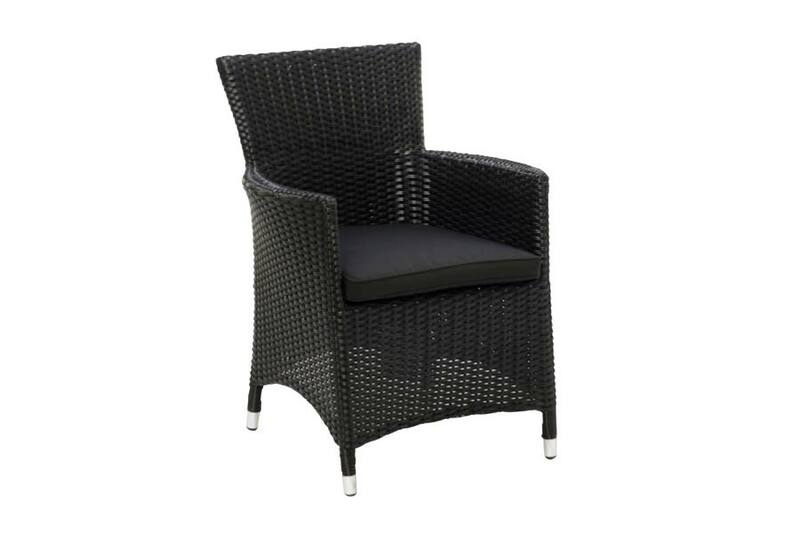 The Allure Armchairs have a Resin Wicker Frame and come in either black or beige, and come complete with Durasonn cushions; the Durasonn cushions have a two year fade warranty. 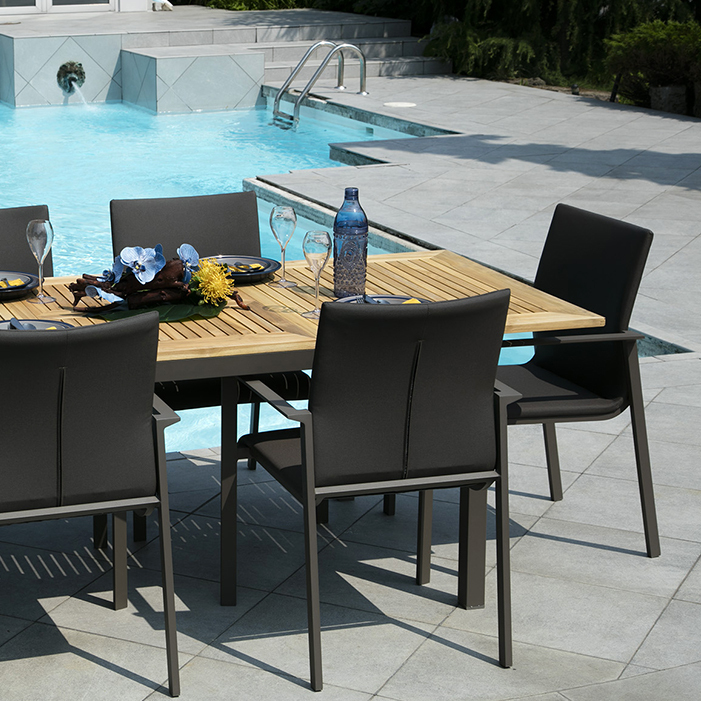 The Allure Dining Collection will become your favourite summer spot.